I know I'm a bit late here, but it took me until the holidays to finally work my way through this 7-CD set. The Fall Singles 1978-2016, out now from Cherry Red Records, is a truly impressive project that collects every single from The Fall over the course of nearly 40 years, along with -- in the deluxe 7-disc edition -- a quartet of discs featuring all the relevant flip-sides from the era. The set is, in a word, magnificent, and nearly the perfect Fall compilation. Discs 1 to 3 here cover all the A-sides from The Fall released from 1978 to 2016 so, yeah, all the big "hits" are here, from "Bingo-Master Breakout", up to "Hit The North" to "Susan Vs. Youthclub" and on to even more recent numbers from the band. As a consequence, the surprises here are ones of consistency as the Fall pursue a variety of styles over the course of a few peaks and valleys in the last 4 decades, with a surprisingly strong maintenance of quality over these 40 years. And, it goes without saying, that the tunes from the era when Brix E. Smith was in the band remain the strongest still, with numbers like the essential "Cruiser's Creek" and the morose "Living Too Late" seeming like works of genius, even now. At their very best back in the Eighties, The Fall hit a kind of creative peak that rendered their music somehow more accessible and in sync with the alt-rock times, even as it remained willfully cryptic and obtuse. Still, any band that can rattle through "Couldn't Get Ahead" and a ramshackle cover of The Kinks ("Victoria") in the same era deserves our respect even now, even if the band went off the rails and lost (some) wind from its sails later in the late Nineties. The remaining 4 (!) discs of The Fall Singles 1978-2016 cover the band's flip-sides over the same years with the selections veering from essential rockers to morbid curiosity pieces. The lyrical-and-languid "I'm Into CB" remains too good to be considered simply a flip, while "C.R.E.E.P." positively swings (still), and "Rollin' Danny" rides a hook that is nothing less than borderline unhinged. Similarly, "Dead Beat Descendant" roars with a kind of beatnik glee, and "Glam Racket" bristles with a genuine sense of bad intent. Still, not everything here is so good. And while the law of averages says that 4 discs of B-sides cannot possibly be a 100% good proposition, at least The Fall kept things interesting over the course of portions of 5 actual decades. Mark E. Smith remained, if nothing else, a crank who was committed to the production of Rock and Roll, even if he sometimes sounds like he's lost some of the plot (for real this time) towards the end of this 7-CD set, with the material on some of the B-sides from this century seeming to be work meant for Fall completists only. 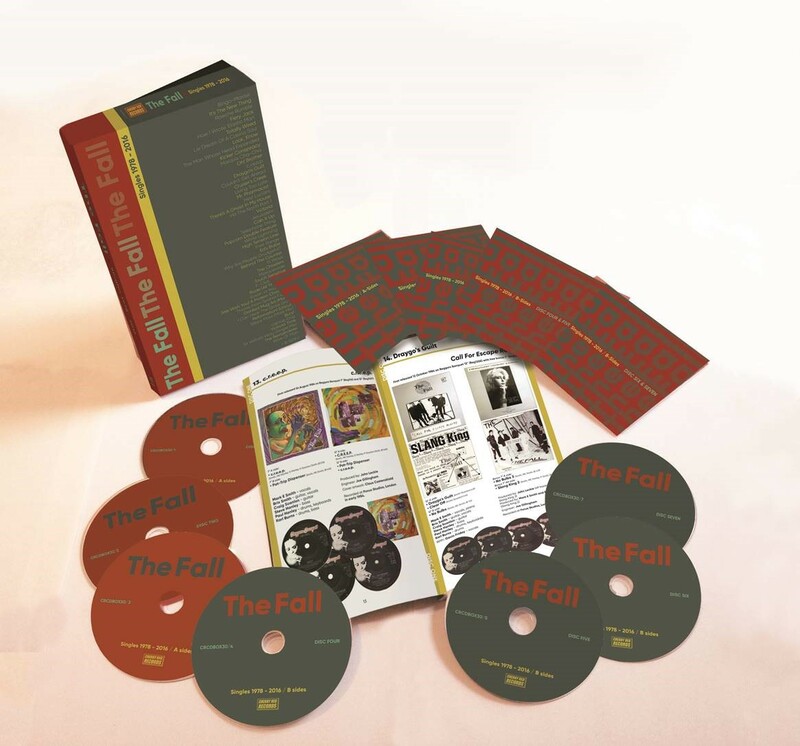 The Fall Singles 1978-2016, out now on Cherry Red Records, is absolutely essential. 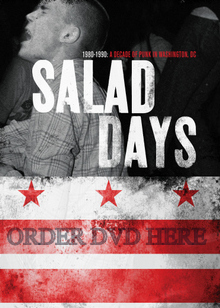 For whatever era of the band you're a fan of, or for whatever weird reason you must own nearly 5 dozen songs relegated by Mr. Smith to the flips of his singles -- and singles you probably already own in some form -- this is the set for you. 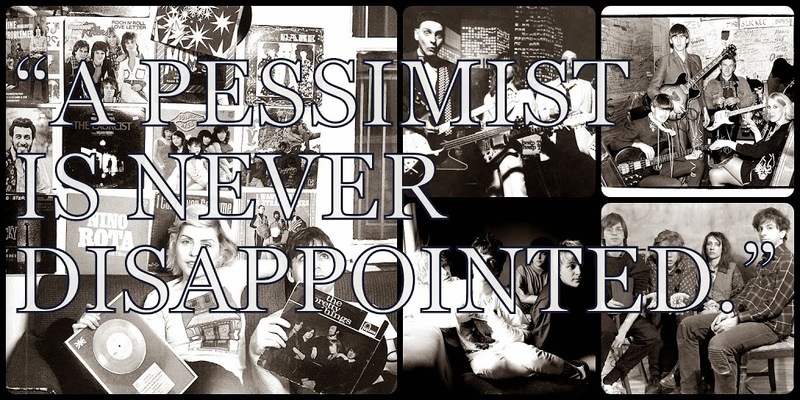 Deranged rawk, lyrical musings focused with a diamond-like intensity on the spark and fire flitting inside the brain of Mr. Mark E. Smith, the 100+ selections here make up a collection of some of the most vital post-punk recordings ever produced.